Tiffin, Ohio - Announced by the College Sports Information Directors of America (CoSIDA), three Heidelberg University softball players, juniors Megan Reinhart (Tiffin, Ohio / Hopewell London) and Dana Thoms (Amherst, Ohio / Firelands) and sophomore Ali Sayre (Sylvania, Ohio / Sylvania Northview) were named to the Capital One Academic All-District IV Third Team. This marks the first time since 2006 (Jenny Coletta), that a Heidelberg softball Student/Athlete has earned a spot on this prestigious team and the first time in the history of the program to have multiple recipients. Reinhart, an accounting and Spanish major, boasts a 3.46 grade point average. On the field, she was second on the team with 32 RBI and in slugging percentage (.690). Reinahart was tied for first in doubles (13) and home runs (7), which ties for first and third respectively, all time in a single season. Thoms carries a 3.89 GPA, while studying early childhood education. On the mound, Thoms was second on the team in wins (9), strikeouts (53), and complete games (12). Tiffin, Ohio – Senior Seth Robertson (Burton, Ohio / Newbury) and junior Jordan Karnes (Edgerton, Ohio / Edgerton) of the Heidelberg University men’s track and field team added to their academic resumes this week. A Newbury High alumnus, Robertson is carrying a 3.86 in accounting and computer information systems. The duo landed a spot on the Capital One Cross Country / Track and Field College Division Academic All-District IV First Team. 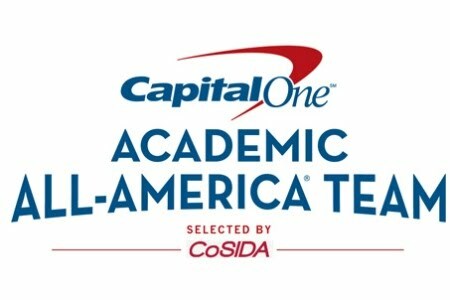 It is the first academic all-district accolade for both Student/Athletes. To be eligible for academic all-district honors a Student/Athlete must be in at least his second year at an institution and be in his second year in a respective spot. They must possess strong athletic credentials, while maintaining a minimum cumulative grade point average. There are eight geographic districts and the college division team combines NCAA Division II, NCAA Division III, NAIA, Canadian and two‐year schools. Heidelberg is located in district IV.